Happy Valentine's day to all you lovely people. I hope its a sweet day for you! This is totally not a Valentine's related post - it does however have to do with people whom I love very much though, so that counts right? If you want to check out some Valentine's inspiration you can head over to the party we hosted last weekend - here. We also had another awesome party that happened last weekend and that was the Birthday of my sweet niece, Mya who turned 11! She is all in that tween stage where she loves One Direction, Monster High and iphones but still loves to play and be a kid. 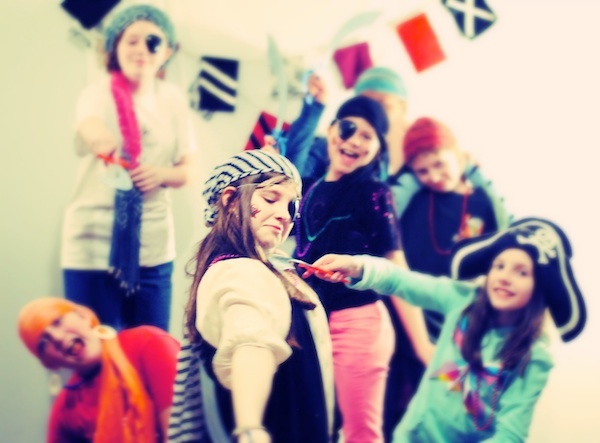 So what to do for a tween girls birthday party? 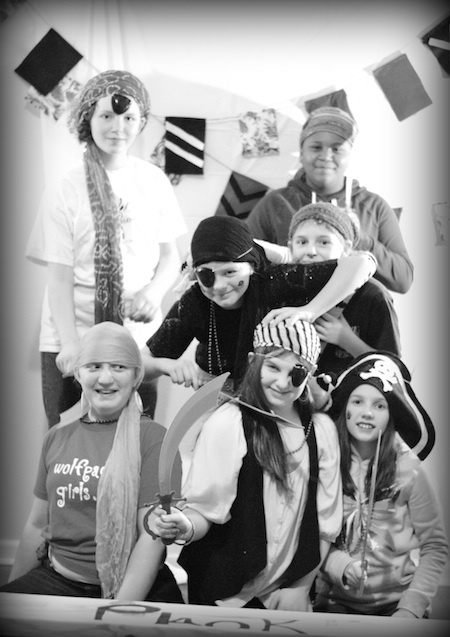 Have a Pirate Slumber Party of course! 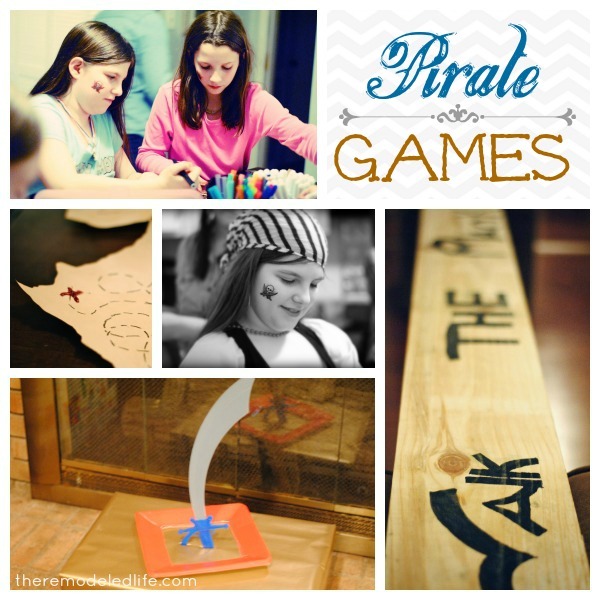 So all props go out to my awesome sister who worked hard on all of these awesome piraty party ideas. I was there to help set up, give support and snap some photos. So let me share some of the fun things we did that night. First up, the photo session. 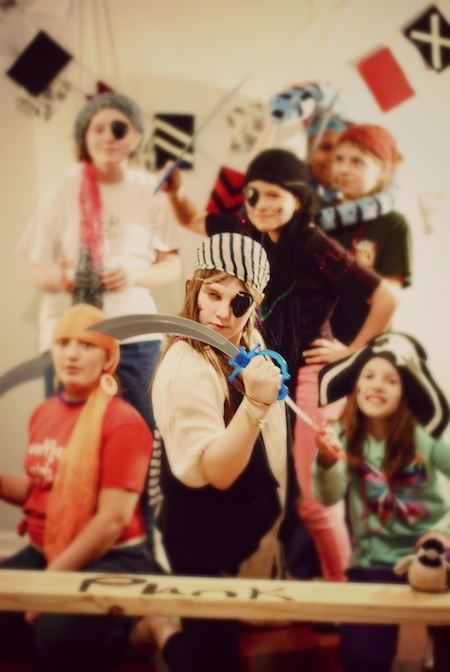 My sister gathered a bunch of pirate gear and they all dressed up to take some shots in front of a little backdrop. We just used scrap fabric and felt to make little flags for the backdrop - Its all hot glue and no sewing involved. 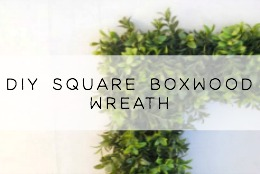 The flags were glued to a string of twine and hung in front of a white tablecloth - it just added a little bit of fun. As you can imagine with a group of ten and eleven year olds, this got silly fast. They had so much fun with it! 1. A Scavenger Hunt - She pre-made a bunch of fun clues and hid them around the house, all leading to the next clue which finally lead them to some "buried" treasure (which was their party favors). 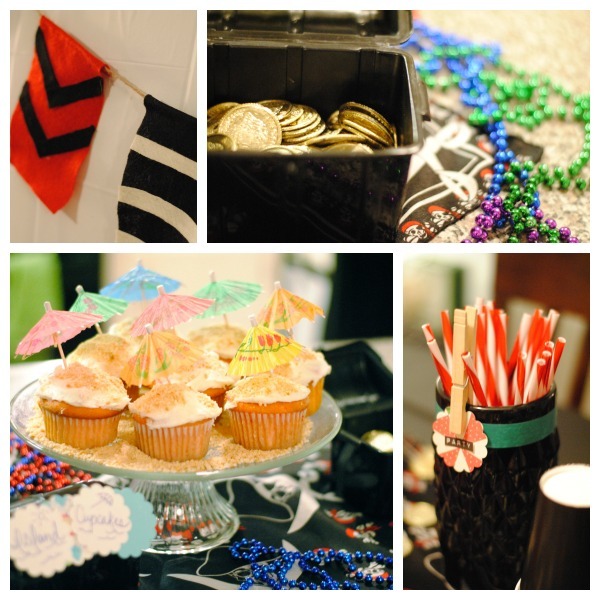 It was a little treasure chest full of little things like tattoos, beads and candy. She turned it up a notch and did the whole thing in the dark so the girls each got a mini flashlight to go through the hunt together. They loved it! 2. Next we had to do tattoos, what Pirate is a Pirate without one? 3. We played walk the plank - which was a board propped up on two stools - they played relays where they had to do different tasks, like walking balloons to the bucket and things like that. 4. We played sword toss - which is just like ring toss. 5. They also played who could keep their balloon in the air the longest - classic game but I think that was their favorite. I mean who doesn't like a good balloon in the air competition? 6. Finally to start getting them settled and ready for the slumber part of the party they all got a little crafty and made treasure maps. My sister had pre-made the paper by burning the edges to make it look like an old map - so cute. Along with the games and photo session she also had some fun little themed snacks - I loved these! 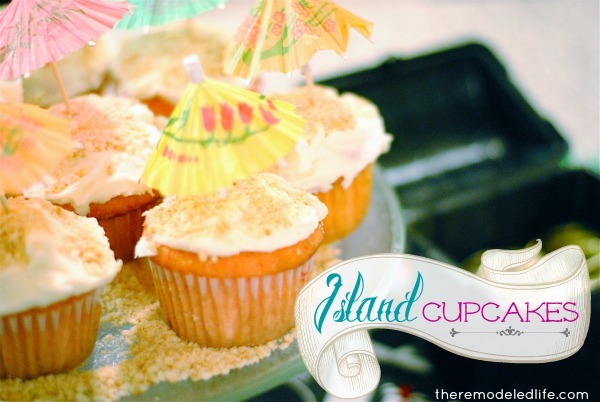 How cute are those little Island cupcakes? The sand is just crushed graham crackers. 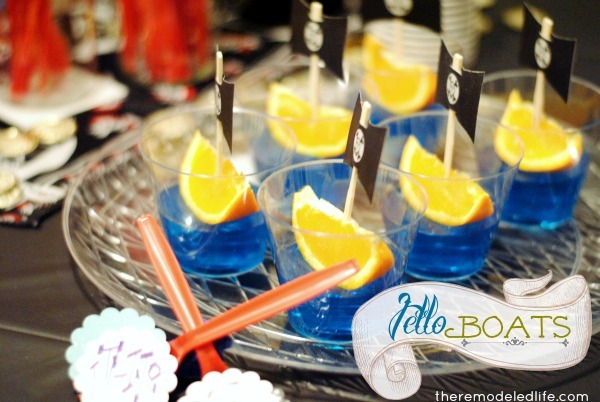 She also made little jello boats with blueberry jello and orange slices and diyed the little flags. 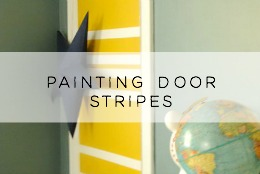 You can find this idea and the print-out and instructions for the little flags at the Makes and Takes blog. These were so, so cute. All of the beads and the white & red striped straws were from the dollar tree! 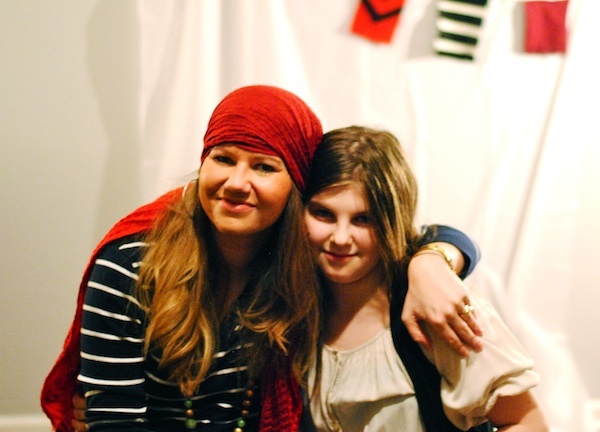 We pulled out some of our scarves for head gear and found the biggest earrings we could for the dress up - we all got into the pirate spirit, even us adults. It was such a fun and special night for Mya! I'm not sure how much slumbering actually occurred but there was plenty of pirating. I'm so glad I got to be a little part of the event! Happy Birthday Mya! 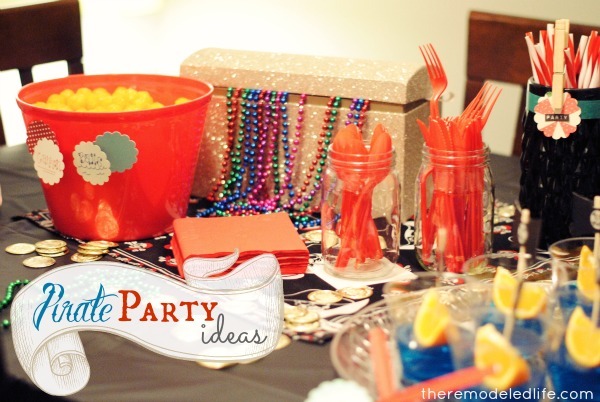 So what was your favorite themed party growing up? Or, maybe your favorite party that you have had for your kids? Share with me! Thanks for joining me today! Hope you have a lovely Valentine's day! It was a lot of fun! I love how they all went over and ate their hotdogs on the plank. 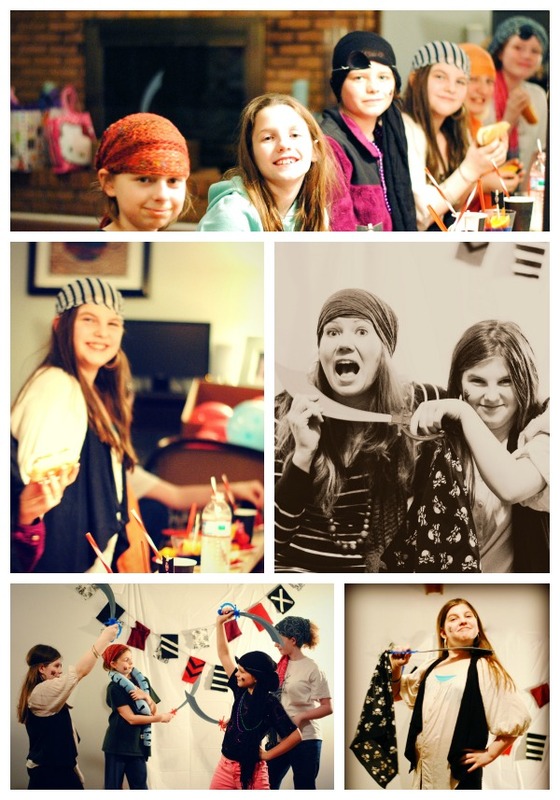 Ooo, pirate themed party. Sounds amazing! Love the group shots! It was so fun! Hope you have a great Valentine's day! This is amazing! She looks like she really had a blast--what a special memory. Big props to you and your sister! Thanks for sharing! Thanks Abby! My sister did a fabulous job! 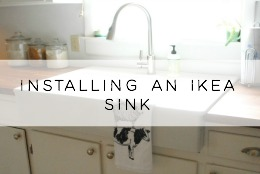 I was just happy to be there to help! Hey, new follower from the Aloha Friday Blog Hop. Everything looks amazing and the pictures are lovely. 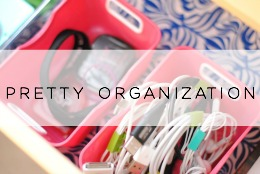 :) Can't wait to check out your blog some more! 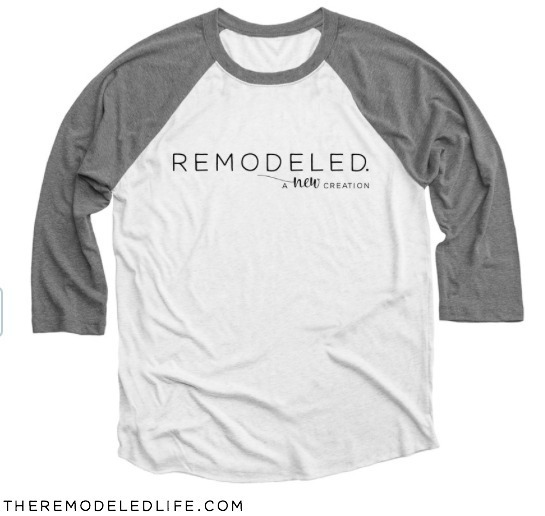 Thanks so much for following Kristin! Heading over to follow back!